Garlic has long been considered a herbal “wonder drug”, with a reputation in folklore for preventing everything from the common cold and flu to the Plague! My Father-In-Law believes that eating this dish keeps his body warm especially after his oil massage 🙂 Enjoy the taste and aroma of this dish. 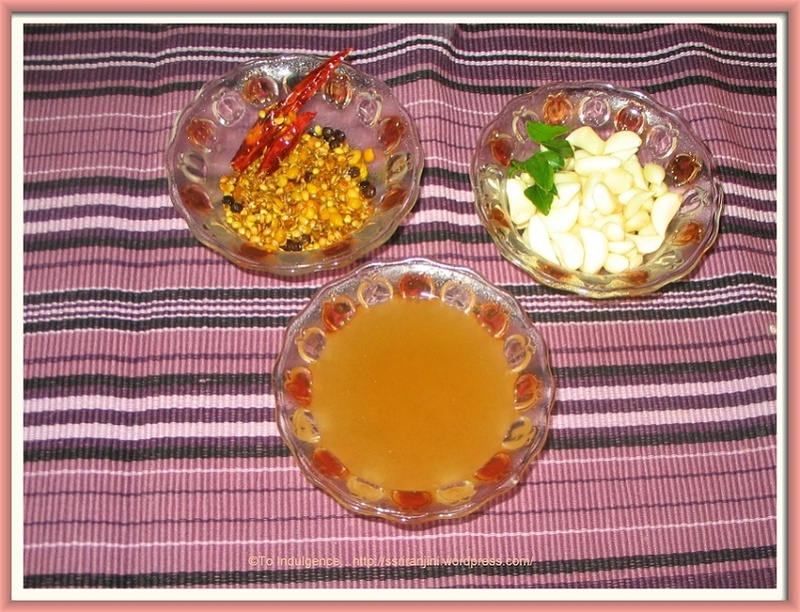 This is my entry to the event JFI – Virundhu:Garlic for the month of April, 2008. Heat the 1 tsp of oil in a pan and fry all the above ingredients except the mustard seeds, garlic and tamarind. Allow the mixture to cool. Grind the tamarind juice and the fried ingredients together. Grind them till it becomes a paste. Keep this aside. Heat 1 tbs of oil in a kadai and sauté the mustard seeds and garlic until the garlic color changes to slightly brown. Add 1 or 2 cups of water to the above mixture and heat till the garlic is half cooked. Add the ground paste and salt to the above mixture. Remove from heat when the garlic is well cooked. This dish will be thick in consistency and can be stored in refrigerator for 3 to 5 days. That the best recipe for poondu kuzhambu I have come across. Great recipe. Thanks for sharing. I came here from Mathy’s blog. You have a very good collection of traditional Tamil Nadu recipes. I have always wanted to get the Poondu kuzhambu right and have tried so many recipes. I think this is going to be the best one yet. Indha sunday poondu kuzhambu sutta appalam dhaan. 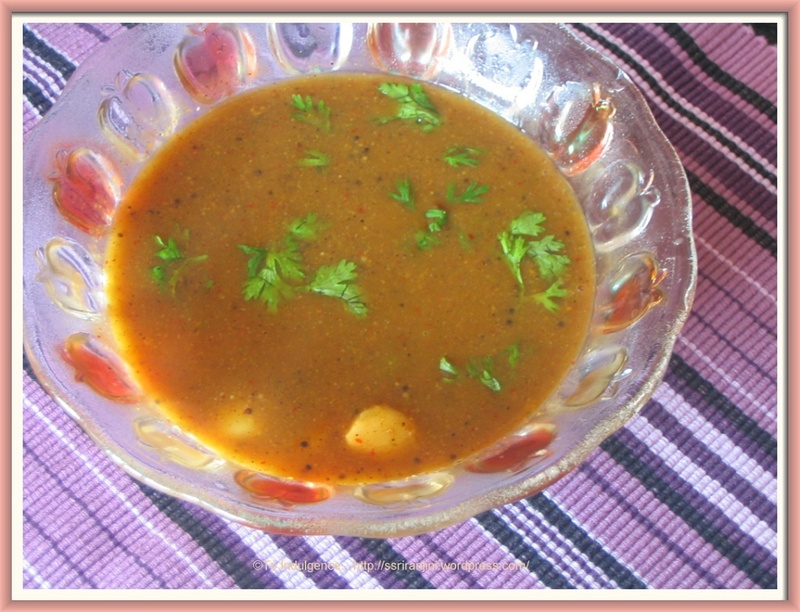 I love the aroma and taste of garlic.. urs sambhar looks very appetizing .